At Altova, our mission is to deliver standards-based, platform-independent software development tools that empower our customers to create, access, edit and transform information resources. We are dedicated to ensuring that our products are powerful, affordable, and easy-to-use by our customers in real-world scenarios. 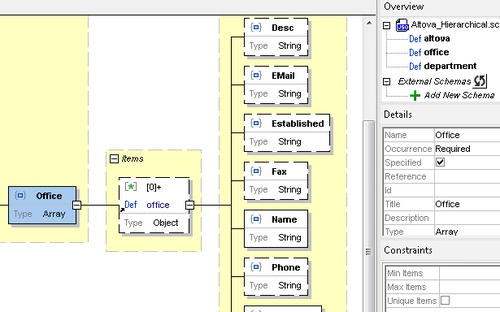 Altova offers a complete line of desktop developer software for XML, SQL, and UML; high-performance workflow automation server products; and a cross-platform mobile development platform. With over 4.7 million users worldwide, including 91% of Fortune 500 organizations, Altova is honored to serve clients from small and medium-sized businesses to the world’s largest organizations. 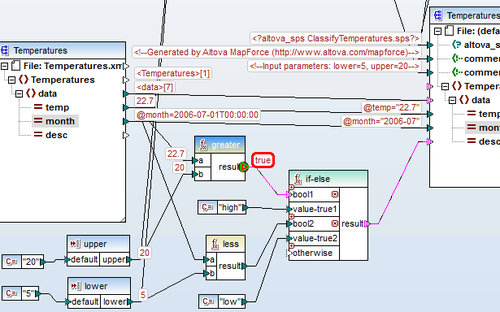 Altova Software Version 2016 provides innovative new functionality including the first enterprise-grade graphical JSON Schema editor and the revolutionary, long-anticipated MapForce Debugger for diagnosing and perfecting data mapping projects. Version 2016 also includes database enhancements implemented across the product line. Support has been added for Firebird databases, in response to customer requests. Existing support for IBM DB2, SQL Server, PostgreSQL, MySQL, and Oracle has been updated to include the latest versions of these popular databases. We are happy to announce availability of Altova Software Version 2016! The latest release of Altova's line of MissionKit desktop developer tools includes powerful new functionality that you won't find anywhere else. Whether it's the ground-breaking, graphical JSON Schema editor in XMLSpy, the revolutionary new data mapping debugger in MapForce, or Windows 10 support across the product line, you won't want to wait to update to Version 2016. Version 2016 also includes increased integration between XMLSpy and RaptorXML Servers installed on the same network. Now, in addition to utilizing RaptorXML Server to make your XMLSpy validation jobs up to 18 times faster, you can harness the power of RaptorXML Server to all but torch large XSLT and XQuery transformations. Imagine how much time you'll save when large XSLT and XQuery jobs complete up to 14 times faster* - directly inside XMLSpy!